Last week, I learned an important lesson about this crazy-making season of awaiting a “book baby.” It was taught to me by my best friend of 20 years who knows my habits, insecurities, and the all-or-nothing thinking that is my default under pressure. She is my opposite: she is a calm, gentle soul whose natural state is one of love and patience. 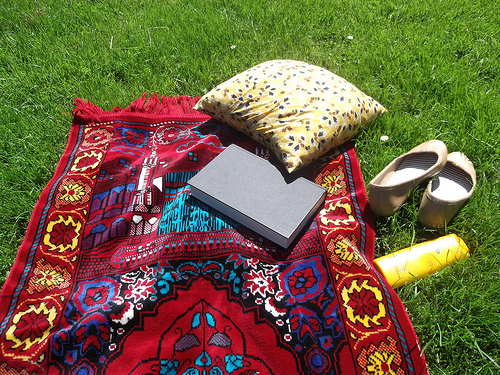 I’d given my bestie a copy of the Saffron Cross galley proof, and she’d been moving through it this summer, phoning and texting to tell me where she was in the story and what she was experiencing. This is the best kind reader and friend. Last Thursday she shared an inspiring moment about how Saffron Cross had affected her. She’d been walking at one of our city’s lakes when she encountered a Muslim family praying with their heads reverently pressed to the ground (an Islamic pillar called salah or salat). Having read Saffron Cross and learned more about Fred’s Hindu faith practices, she experienced this prayer posture with admiration and warmth—not with otherness. It moved her that faith practitioners would be so devout in their religion that even amid the busyness of life, their day came to a halt so that they could turn toward God. It made her think about her own life and choices. My best friend said that, had she not yet read Saffron Cross, she wouldn’t have fully appreciated the faith-life integration it takes to be dedicated to such practices. She is much more aware of the simple beauty of God in our everyday lives—from what we eat to what we consume to how we spend our time. “Yes!” I said after she finished her story—my voice escalating like a preacher caught by the Spirit. That’s the essence of Saffron Cross. This book is not about me. It is not about Fred. It’s about understanding. It’s about placing ourselves in the sometimes uncomfortable position of getting to know someone of another faith. In knowing, we are awakened to our own reflections on God. Cultivating a friendship with someone whose spirituality is different from your own will not derail you. Instead, it helps all of us embrace the spirituality of our human oneness. It shapes how we see God in everyday moments—in everyday interfaith encounters. Tell us about a time you encountered someone of another faith engaging in a spiritual practice. What was your experience? My editor, Joanna Bradley (@writenotwrong) tweeted this photo last week! 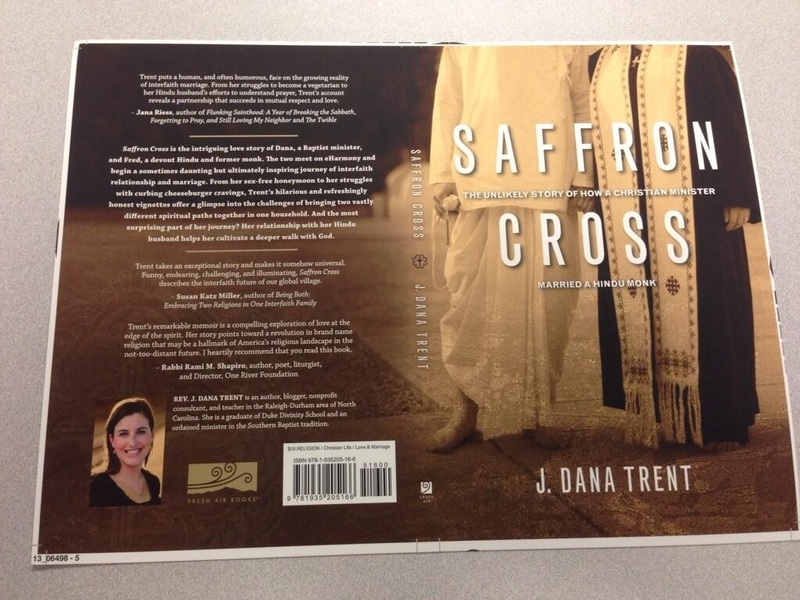 The final Saffron Cross book cover proof! We are seven weeks away from the release of October 1! Pre-order your copy TODAY! Enjoyed this post? Please subscribe to the blog, like the Facebook page, and follow @jdanatrent. Thanks!